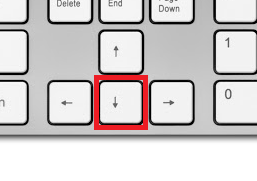 Is there a way to do this without using a mouse? I'm in Google Sheets, with the focus on a specific cell, which already has content in it. I want the focus to move to the very end of the value in the cell so that I can start appending more content. I've tried to find a way to do this without a mouse, but haven't found anything. It would sure save a lot of back and forth between keyboard/mouse. Is there a way to stop Google sheets from telling me to use Ctrl C?